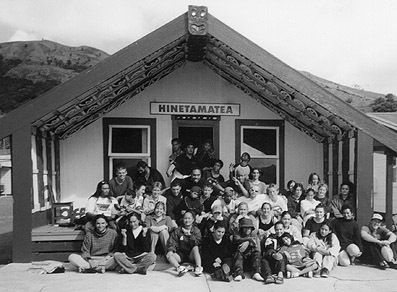 Wananga at Anaura Bay with Kaiti young people in 1999 - that's a skinnier me bottom left front row. This year, for the local body elections, Tairawhiti Youth Voice; The Gisborne District Youth Council will be producing a voter and candidate information guide for young people aged 18-24. This will include the respective Council candidates’ views and commitments to the things identified as important to the aforementioned group by the Youth Council.The finished guide will be distributed throughout Tairawhiti and is funded by Tairawhiti Youth Voice, with assistance from the Ministry of Youth Development. Below are my responses to their questionnaire. Do you support the idea of a Youth Council? YES. I have for many years and have made formal submissions for its establishment since 2003. Will you attend a Youth Council Meeting in the future? Do you support the continuation of the GDC partially funding the Youth Council in the future? YES. Whether or not the Youth Council needs funding, it demonstrates a real commitment to the value that youth bring to public decision-making and the rights of young people as full citizens of our community. Have you had experience with working with, or working for, young people? YES. Only since I was a young person. I have been a volunteer youth worker since the early 1990s and continue to spend time in my neighbourhood with local young people. I have worked on countless local projects with young people including the development of regional youth strategies, research projects, youth enterprise initiatives, a youth radio station, a youth art space, public art projects, alternative education programmes, youth leadership development, international exchanges, etc. Taking young people to Burma, Nepal and Fiji have been some of the most exciting experiences I have had with local youth and would like to see much more of that kind of experience happen, particularly for young people with limited financial support from home. 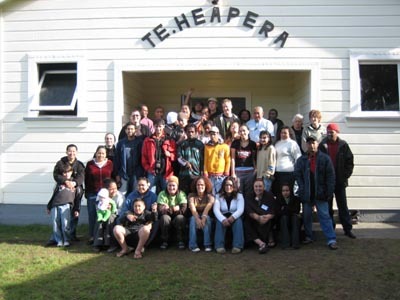 Participants in an international study session I helped organise at Ruatorea for local young people and youth from around the South Pacific in 2006. Do you support Youth Council speaking seats on Council committees? YES. Provided TYV has the capacity to provide a person, I also think they should be paid to attend the meetings and for pre-reading. Do you support a Youth Council speaking seat at full Council meetings? YES. As long as TYV is a democratic organisation that has a fair process for appointing the person/people to occupy such a seat and is supported with advice and resources by Council staff, local youth workers and people like Marcus Akuhata-Brown who lives in Te Araroa and was the Commonwealth Youth Representative for over one billion people (he might have some useful things to suggest). 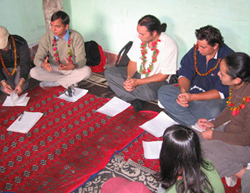 Meeting with youth in a Nepalese village in 2007 with two rangatahi I took over to share the experience. Do you support the idea of a Council-provided Youth Centre? YES. Though I think there should be a number of youth spaces as young people are not all the same and we need to have services and spaces that are meaningful and useful for all young people. The danger in having one facility is it has to be all things to all people and can become something that doesn’t help anyone. The skate park club rooms is a good example of a facility that caters for a particular sub-culture of young people. There should also be youth art spaces, more indoor sports facilities, computer clubhouses, etc. And they need to be where the young people are including the suburbs and rural villages. Would you support the development of a Regional Youth Retention Strategy? YES.This is a priority and I have been campaigning on this issue – not just to retain young people, as it is important for them to get out and see the world, but also to attract them home when they have got a tertiary education and/or travelled abroad and are ready to settle down, raise a family, etc.